She had missed the game entirely, which was not unusual. “Yeah, I didn’t wrap my ears today; can you give me a ride to the hospital?” She raised one eyebrow and pulled her keys from her purse. Idaho State was not a rugby powerhouse but neither were we. We were of course a superior club to them as was evidenced by our matching uniforms and warm ups, but we had no room to assume victory. They showed up in two vans and we trickled in from the Sigma Nu house or whatever other corner of campus we had slept at the night before. We shooed the hippies playing ultimate off the field, shook hands with the grad student who came to reff, and the game began. We were better athletes, they were older and more experienced, I would even say they were crafty. The game was an even match. I can’t recall all the details but I do remember how it happened. Their winger had a lane down the sideline. 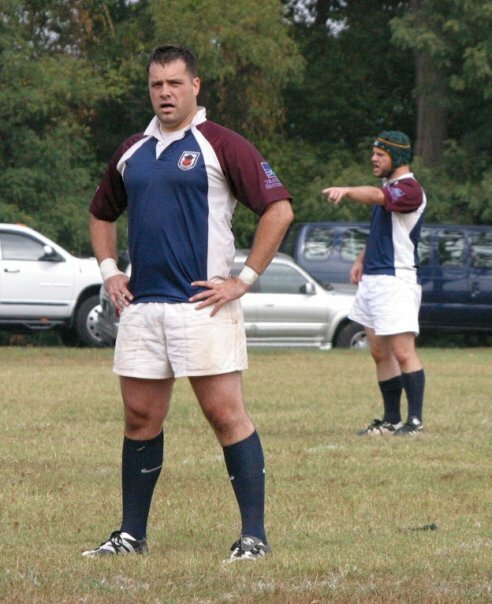 He wasn’t a top shelf athlete, nor a lifetime rugger, but he looked like a Marine and played like one too. His teeth were clenched in the sort of grimace that implied a cigar was meant to be there. I had the right angle but not the rugby sense to overcome my gridiron training; meaning when I dropped my shoulder for the tackle I put my head in front rather than behind. This would have been fine were it not for my teammate who had the same angle a half step behind. My head was caught between G.I. Joe’s elbow and a Polynesian’s knee. I opened my eyes and sat up with my teammates gathered round me. As I did so I watched everyone’s eyes get big and there was a collective, “Whoa.” The reff, who was the closest thing we had to a medical professional present, I think he was a philosophy major, stated for all our information that it probably wasn’t as bad as it looked as head wounds just bleed more than other places. Kaleo, our team captain, made me stare at his two fingers while he reminded me that we didn’t have any extra players today. “You have too much hair for us to use the super glue but we can probably tape it up. The game still has 40 minutes left, that’s a long time to play a man down.” I looked around at my teammates whose eyes were pleading with no sympathy, and I asked for some tape. After the game we shook hands, sang a song, and made a rookie run a Zulu. “You commin’ with?” Kaleo asked as he loaded up to go to the pub. “Naw, she’ll show up eventually,” I replied as I reclined on an elbow. I threw the blood soaked jersey in the team laundry bag, donned a T-shirt, and waited. The doctor explained there is a bone floating in fluid in your inner ear. This little bone is responsible for balance and if knocked out of place by something like a Polynesian knee, can leave an individual in a perpetual state of faux intoxication. Unlike most in my sport I had never been intoxicated and was a bit intrigued by the idea. He explained the therapy that would remedy my problem as he finished up stitch number 32 and Lisa painted her nails. The intoxication only lasted a week, the relationship lasted another year, and the sport lasted ten more seasons. There scar is barely noticeable. As i read your blog entry and reflected upon my own life and what could have been, I ask myself, what if coach had put me in during 4th Quarter? What if I thrown long instead of opting for the short route? What if I didn’t have turf toe? We should have taken state. Hey Rico, I ever tell about the time I broke my Coxis ridin’ 4-wheelers at the dunes? UrbanA, in my experience most fun things have some small risk of injury. This is excellent. And here I thought that the ‘Polynesian Knee” was a massage technique from the Cook Islands. All depends on how you define massage; and thank you. 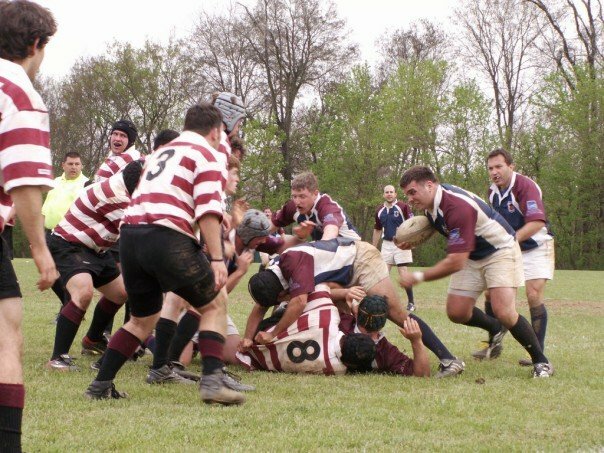 I played rugby in South Africa during my school teen years. Its hard to understand how a blunt knee or elbow can cause a perfectly even clean cut but it just can. I had one on my forehead and it looked like a knife stab or something but it really was from a Afrikaner knee. I had an Afrikaaner prop teach me the finer points of scrumming. It didn’t feel good but it was truly educational. Just found an old Gilbert ball on the side of the street. Now I need to learn the rules of rugby and find some roughnecks to play with. Rugby is best learned while playing. Head up to Atlanta and find the Renegades. You had vestibular therapy? Our therapist always tells patients coming in for vestibular therapy to bring a bucket to puke in and someone to drive them home. Lucky.